HP ProBook 640 G3 is a touch-optional notebook for business users that love working on the go. It is built for robust performance with 7th generation processors from Intel and for overall enjoyable user experience. This mid-range business notebook looks a lot like its predecessor, the ProBook 640 G2, on the outside. The HP ProBook 640 G3 still has that black and silver cover. The construction features mostly plastic, although metal can be found in some parts. All the same, the construction is solid. HP implies this one is ready for a beating having been designed to military-grade MIL-STD 801G standards. The HP ProBook 640 G3 sports a 14-inch diagonal LED display of the quality that can be used comfortably outdoors. The base offering has a resolution of 1,366 x 768 pixels. There are units with Full HD resolution of 1,920 x 1,080 pixels as well. It appears you can have a model with a touchscreen if you can pay extra. Driven by latest generation Intel Core i Series processors, this business laptop is ready for solid performance. You have freedom of choosing a Core i3, i5 or i7 processor for the HP ProBook 640 G3, as your finances allow. These processors run at speed of up to 3.9 GHz with Intel Turbo Boost. Providing backing for the robust CPUs are RAM of up to 16GB capacity and optional, swiftly-running solid state drives. Integrated Intel HD Graphics 620 handles graphics performance. The Windows 10 machine comes with a battery that gives as much as 90% runtime in one and half hours of charging. The HP ProBook 640 G3 is decked out to facilitate easy collaboration. It comes with a pair of integrated stereo speakers, which get a boost from the HP Audio Boost software. You get integrated microphone with noise cancellation, Skype for Business, and optional 720p HD webcam. Ports and slots available for the HP Probook 640 G3 include two USB 3.0 ports, a USB Type-C port, a DisplayPort and a memory card reader. HP Probook 640 G3 is built for easy integration into existing IT arrangements with legacy ports, such as a VGA port, and optional optical drives. Features such as HP BIOSphere Gen3, FIPS Certified Drives, and HP Touchpoint Manager safeguard productivity. HP ProBook 640 G3 laptops are not yet available Nigeria, Kenya, and Ghana. Price starts at around $849 in the United States. 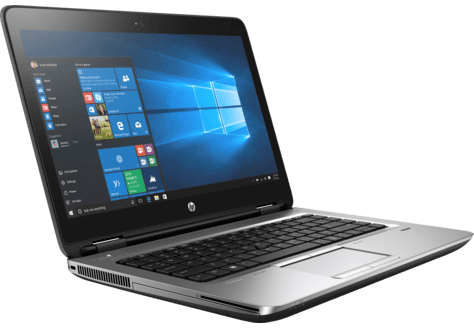 When available, the HP ProBook 640 G3 price in Nigeria should start at around 325,000 Naira, depending on your location and the configuration of the laptop. Price in Ghana is expected to start at around GH₵ 4969. HP ProBook 640 G3 price in Kenya should start at 105,000 KSh.